Finding the best keynote speakers Orlando is one of the most challenging tasks you’ll ever face as an event planner. Because unlike many other U.S. cities, which allow your audience to focus solely on your event hosting the best Keynote Speakers, Orlando is filled with tempting, exciting distractions just itching to pull your audience’s attention away, even from the most promising of keynote speeches. While these fun distractions, including a dozen different theme parks, help you draw audiences to your Orlando event in the first place, they can also prevent your audience from reaping the benefits of a truly spectacular keynote speech. After all, you can’t get inspired or learn new skills when you’re three drinks deep at Margaretville! So what’s a savvy event planner to do? Hire keynote speakers Orlando who can hold their own against Mickey, Donald, and Harry Potter! Experienced, offering a strong foundation of knowledge and expertise in the areas you need to address. Entertaining, using humor and multimedia to keep audiences just as enthralled as they are at Epcot down the road. Innovative, offering fresh solutions to tough problems your audience or company is facing right now. Treasure Island in Orlando may be tempting, but it’s no match for your keynote speech – if, (and only if), you hire keynote speakers Orlando who deliver fresh, relevant, exciting content that holds your audience’s attention long after the parks have closed. 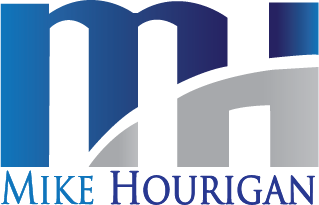 Mike Hourigan is an Orlando Keynote Speaker, Author and Consultant who specializes in leadership and communication skills training for large and small companies.